Whoa! It has finally happened! 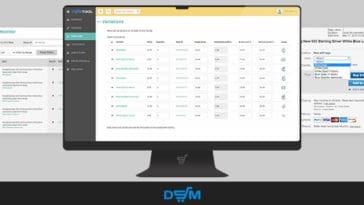 The most requested DSM Tool feature is now on! We released a system update so that the dropshippers all over the world could create listings with variations using our Rapid Lister. What are variations in general? 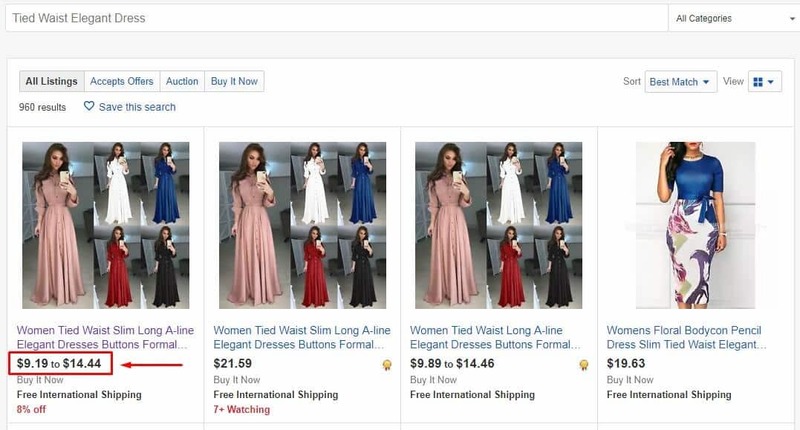 Let’s see, when selling on eBay, Shopify or any online store you have many similar items having a slight difference in attributes such as color, size, material, style, width, length, etc., with multi-variations lister you can create a single listing that includes all the item variations you offer to the buyer. Naturally even though it’s a fixed-price listing the price can vary depending on the chosen variation. Each variation can have its own quantity. To put it simple, it could be any item. However, most commonly it’s clothing, shoes, accessories. For instance, these Sneakers have got size and color variations. 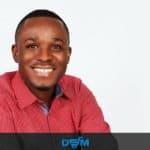 Instead of creating a number of separate listings for an item with multiple options, you can create a single multi-quantity listing. 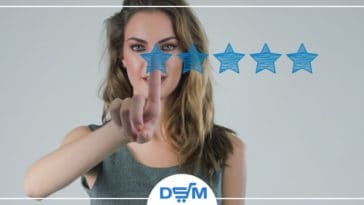 That’s why selling multi-variations from the same listing is pretty much the same as selling multiple items from any other fixed-price listing, but much handier and more beneficial both for buyers and sellers. Save your money on insertion fees and your time by creating 1 listing for many items! 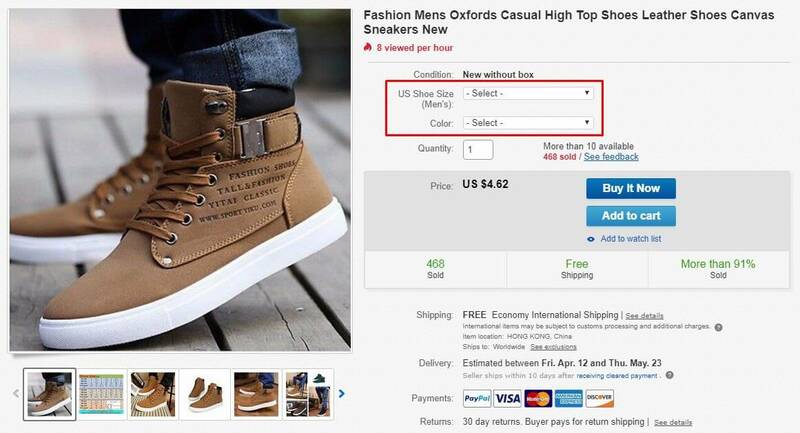 According to eBay, each listing can have 5 variant details and up to 60 values for each of those details. Up to 250 variations in a single listing! Besides, there is no additional fee for listing with variations. Awesome, isn’t it? 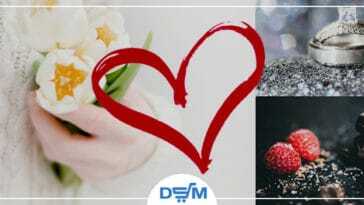 So, let’s see the benefits this DSM Tool updated multi-variation listing functionality provides the sellers. That’s a given that there are way more chances for the buyers to get to your listings. How does it work? Imagine the situation when one variation went out of stock the rest of the variations keep the listing “alive”. The new feature is giving more exposure for your listings! Check this out! 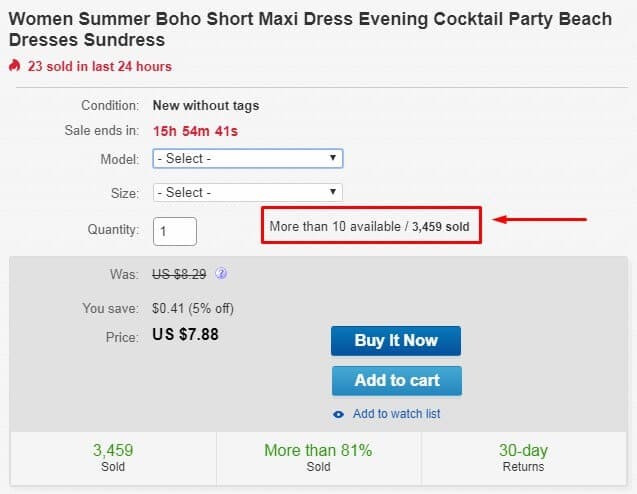 This Summer Boho Dress is found on the first page of the eBay search results even though one item variation is out of stock. Sticking to the point, if one variation from your listing sells then your listing goes up in search results. This is awesome because normally the item itself has to sell for that to happen. Quite a different story with variation listings when only one of the variety of possibilities has to sell. So, when there is a sell in a listing the entire listing gets promoted in such a way. It’s a fantastic opportunity to boost your sales! And one of the reasons the variation listings are worth using! Now, have a look at this Tied Waist Elegant Dress. Isn’t it gorgeous? Ok, just kidding! What we are really interested in this item is the following. When you go to the item page, you see the minimal price by default. Although, when you pick another variation, you can see it changed. Thus, when choosing another color or size the price changes because this item has a different price per variation. What’s more important is that the buyer at this point is already in your listing and there is a higher chance he or she stays there and make a purchase. So, you get a perfect tool for cross-selling! Saying that, make sure you use the cross-sales opportunity the right way. 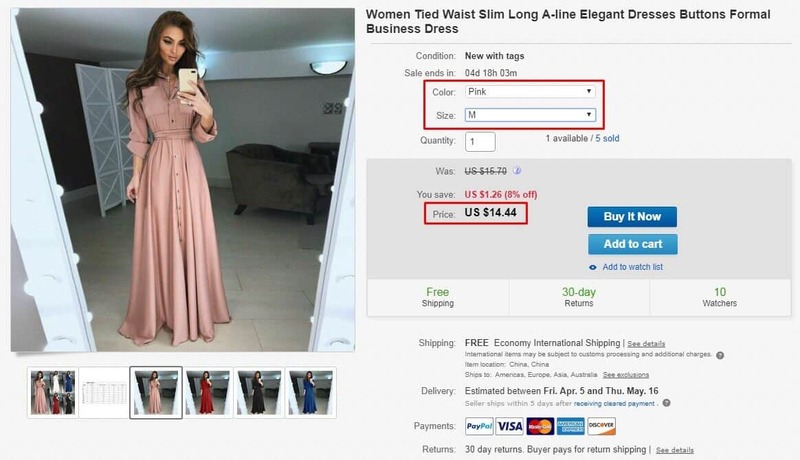 eBay will not tolerate listing a cheap item as a variation with a title of another item which is set to another more expensive variation, this is against eBay’s search and browse policy. That’s how the variations pricing look like in the search results. The lowest price is the first and the highest is the second. And finally how it looks in DSM Tool? 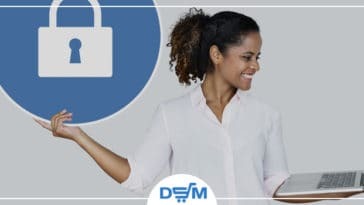 While posting variation listings with DSM Tool Rapid Lister for drop shipping for eBay, the seller has the opportunity to change the target price, break even and desired profit values among many other fields. Let’s take the desired profit as an example and make some changes to it. 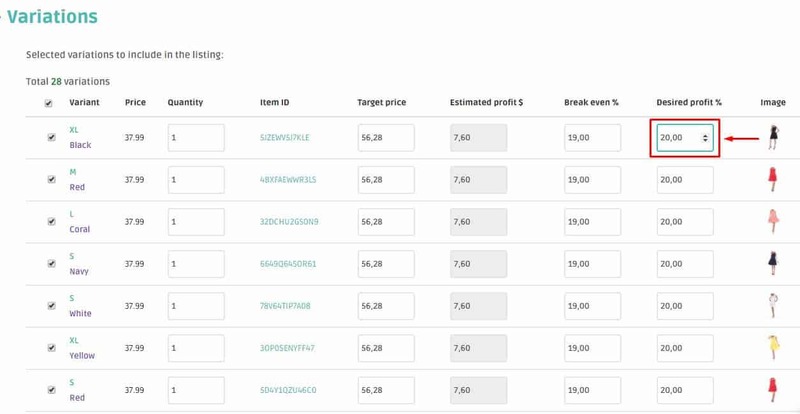 Please note that the target price and estimated profit values have changed accordingly. It’s absolutely simple! Why setting a different price to each variation is a great solution? It’s a simple trick to gain more profit! If someone opts for a product that is a bit more expensive he or she won’t give up because of the barely perceptible price difference. Be sure, you can also edit these values in the Price Monitor whenever you need them to after publishing the listing. 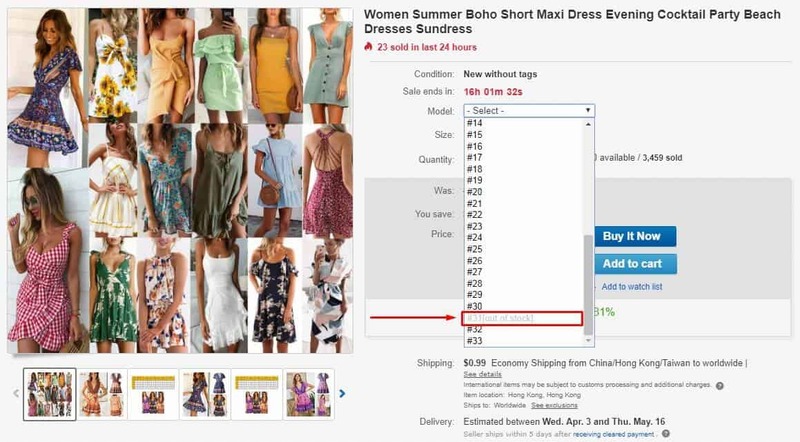 Click here to learn more how to edit eBay listings with variations in DSM Tool and how to post variation listings with Rapid Lister. 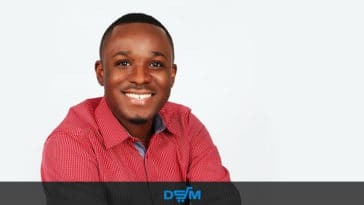 Be more profitable while dropshipping? Now it’s as easy as a piece of pie! No more time consuming daily actions and follow-ups on your sales and listings in order to increase or decrease prices based on the listings success. 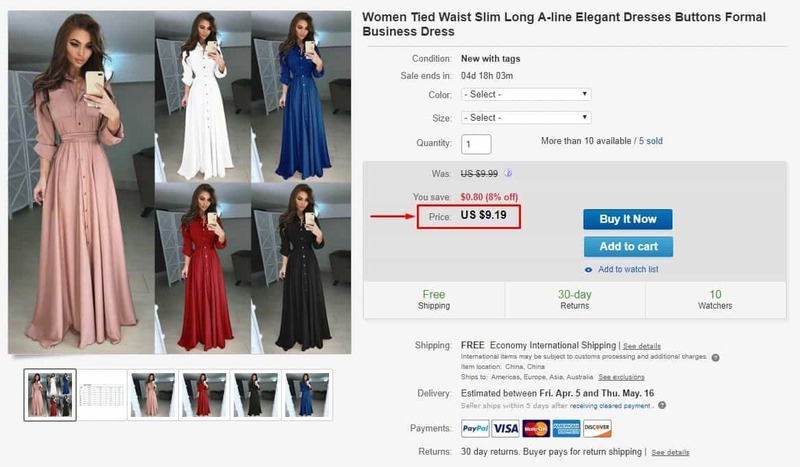 The eBay Pricing Strategy feature is a smart dynamic pricing tool for automation of your business routine. 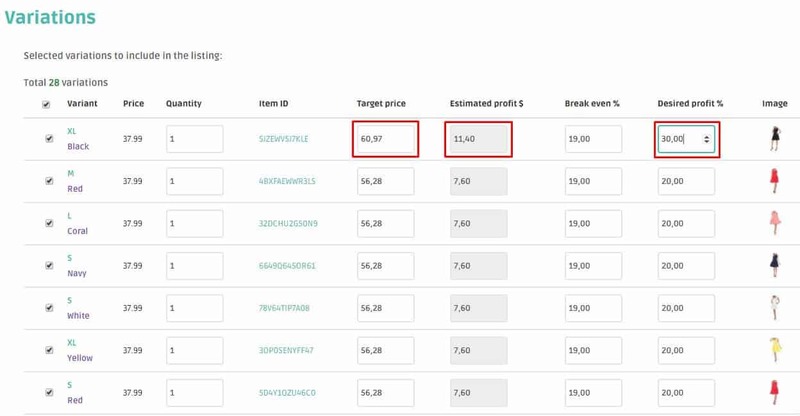 It allows you to adjust your listings profit automatically according to their performance after sales are done, and it gives you control over the amount and the frequency of the changes. If one of your variations start selling better than others you can put the higher price to the winning variation without much effort as soon as you see the regularity of buyers’ behavior. 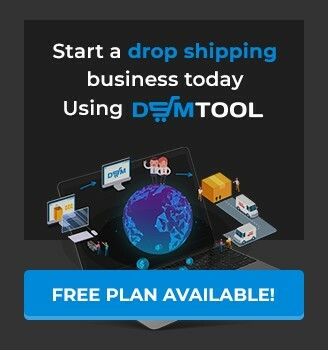 Visit our Help Center and check the quick guide for more info on how to start a drop shipping business using DSM Tool. Stay tuned and see you around!